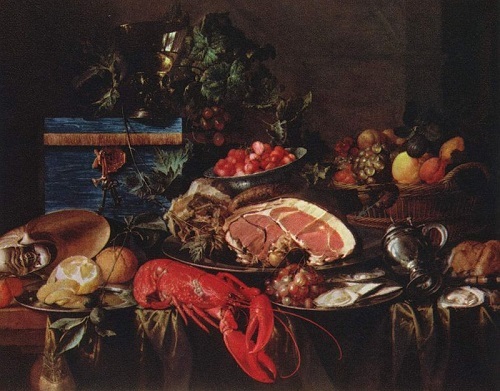 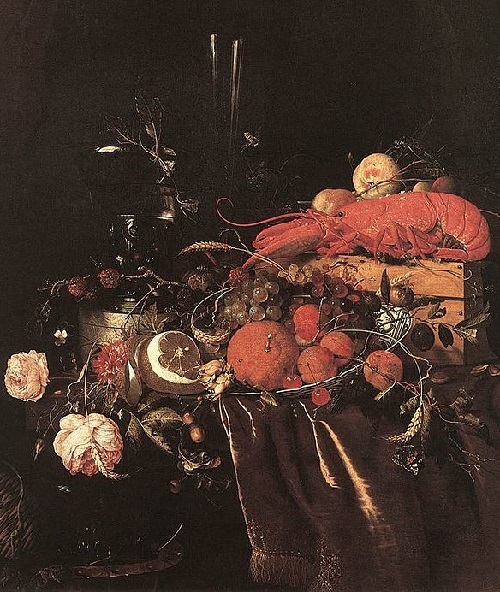 Jan Davidszoon de Heem is a representative of Dutch and Flemish Baroque painting. 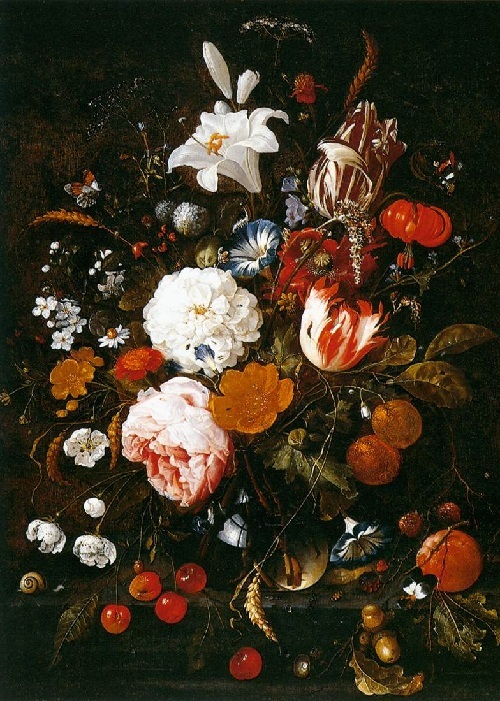 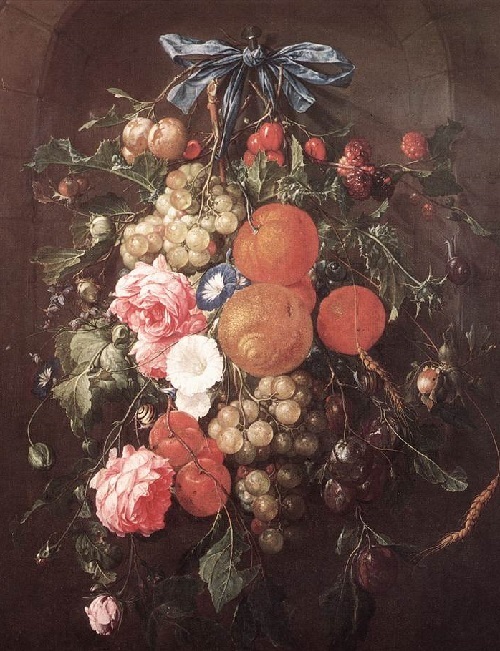 Dutch painter Jan Davidszoon de Heem (b. 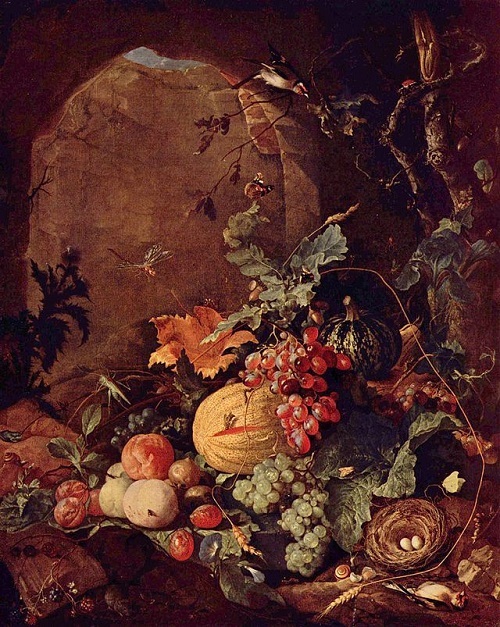 1606, Utrecht, d. 1684, Antwerpen) studied first under his father David de Heem the Elder (1570–1631), then under Balthasar van der Ast. 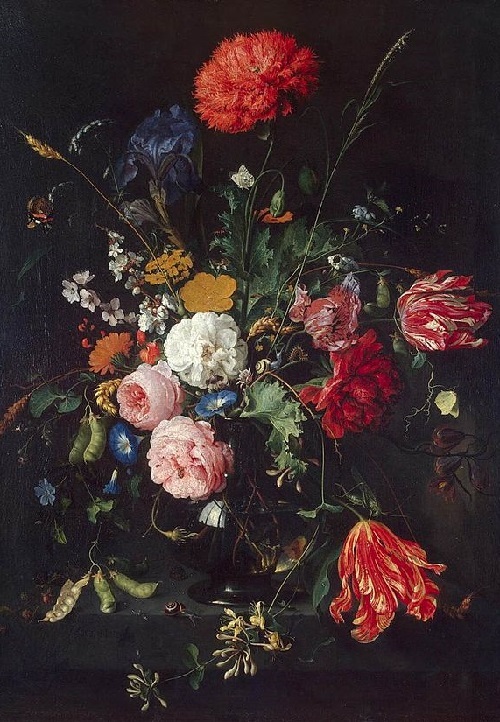 De Heem was considered one of the greatest painters of his time. 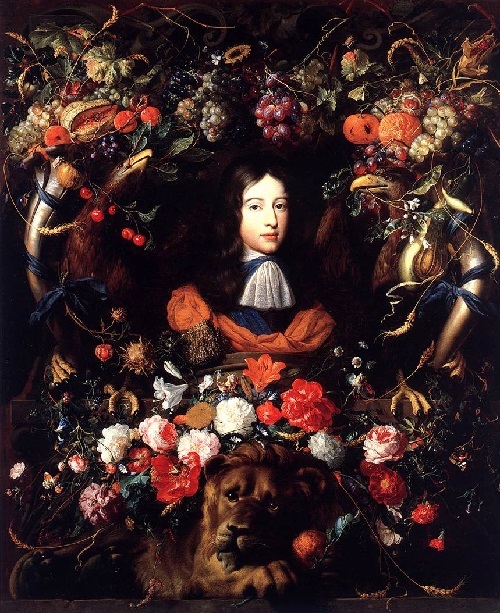 He was well paid and a portrait of Prince William III surrounded by a cartouche of flowers and fruit was sold for 2000 guilders, one of the highest prices ever paid for a painting during the Dutch Golden Age. 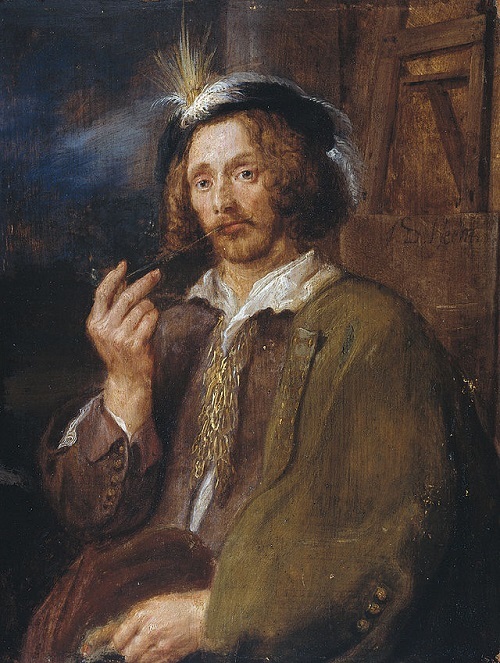 His sons worked together with him in his workshop on the commissions for new paintings. 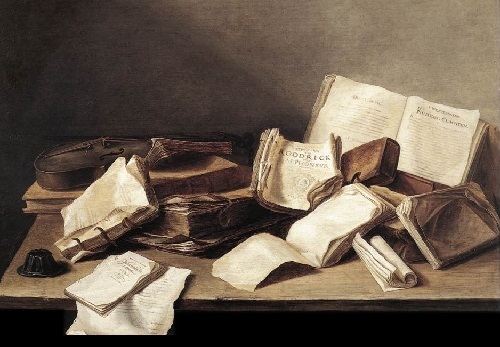 He retouched their work and put his signature on the paintings. 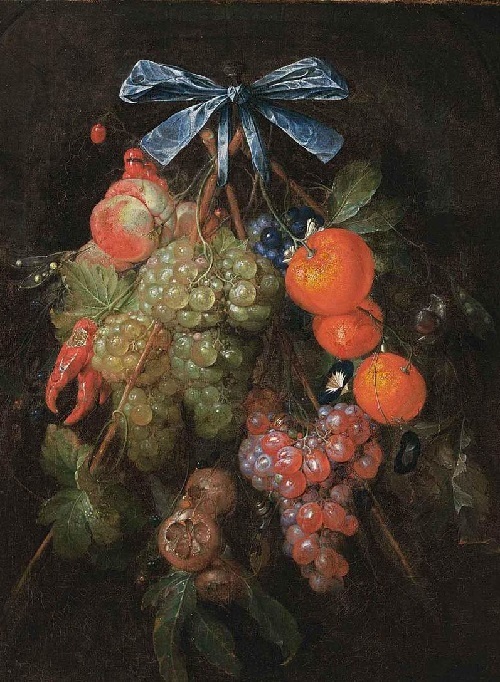 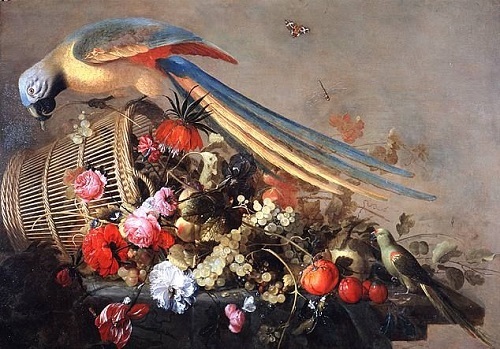 De Heem was one of the greatest painters of still life in the Netherlands, combining a brilliance and harmony of color along with an accurate rendering of objects: various flowers, European and exotic fruits, butterflies and moths, snails and sea shells. 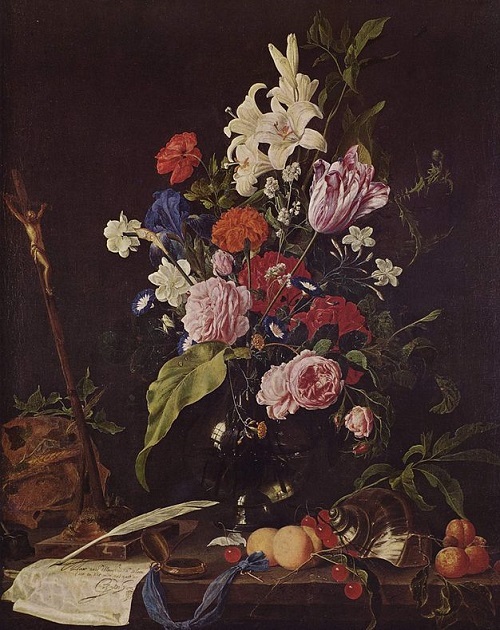 His still lifes also included Vanitas still lifes, illustrations of a snake lying coiled under grass; a skull on plants in bloom. 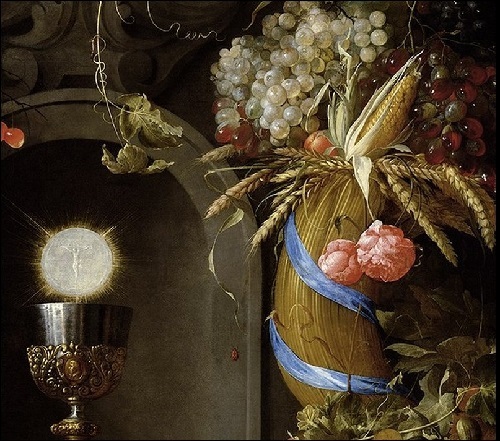 Gold and silver cups or tankards are suggestive of the vanity of earthly possessions. 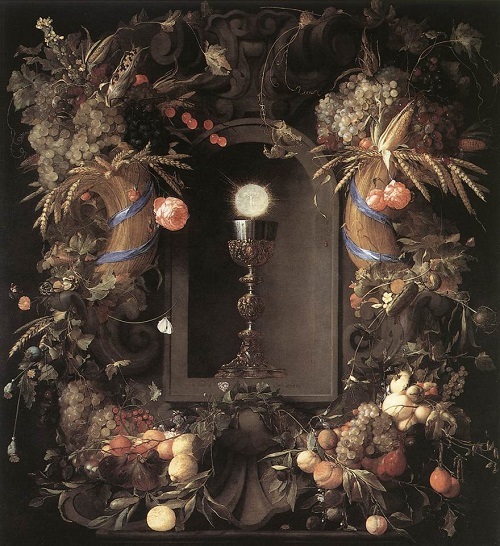 Salvation is seen allegorically as a chalice amid blossoms, and death as a crucifix in a wreath. 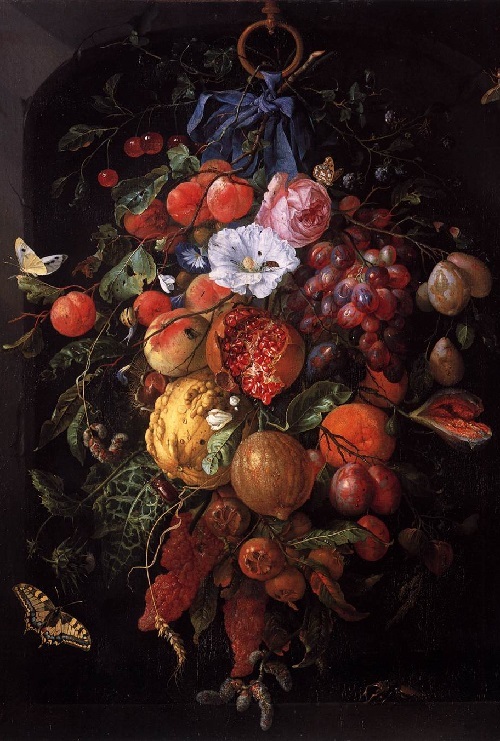 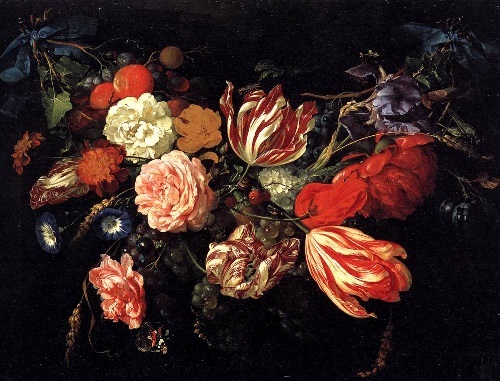 Sometimes De Heem painted alone or with others, Madonnas or portraits in garlands of fruit or flowers.